Thought I'd show some photos of the process of creating the focal panel on this card, for those of you who are more 'visual' - you can find other card details by clicking here. Those are the steps I used! --If you only have one shade of green, that would work just as well. 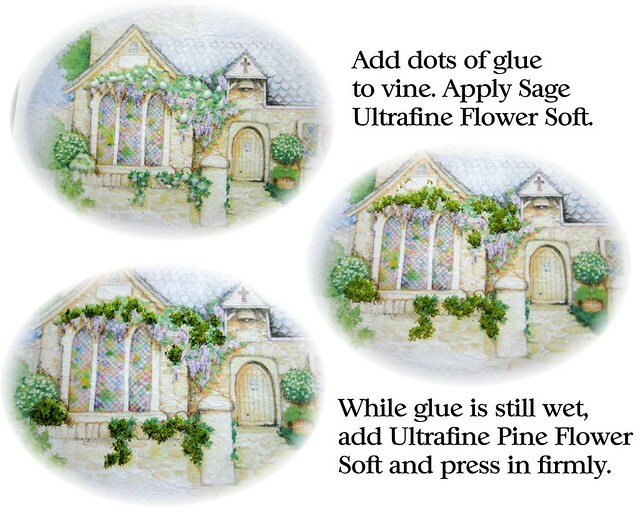 Additional shades add to the depth of the scene, but if you have lighter colors, you can actually shade the Flower Soft **after the glue is dry** using alcohol markers. --In the last step, I added Sand Flower Soft to the whole scene. This isn't really necessary... but I think it adds a bit of highlight and also gives a more vintage look. If you only have bright colors to work with, mixing them with Sand will give the area a lighter appearance. If you have questions, please feel free to ask them here! 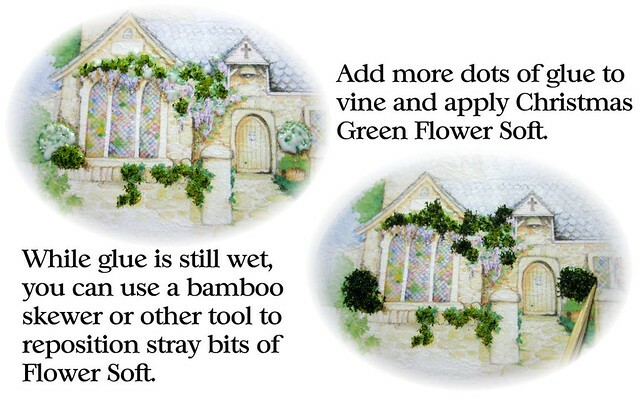 Love the Wisteria!!! Beautiful card and tutorial!! WOW! Another amazing card. The house is beautiful. 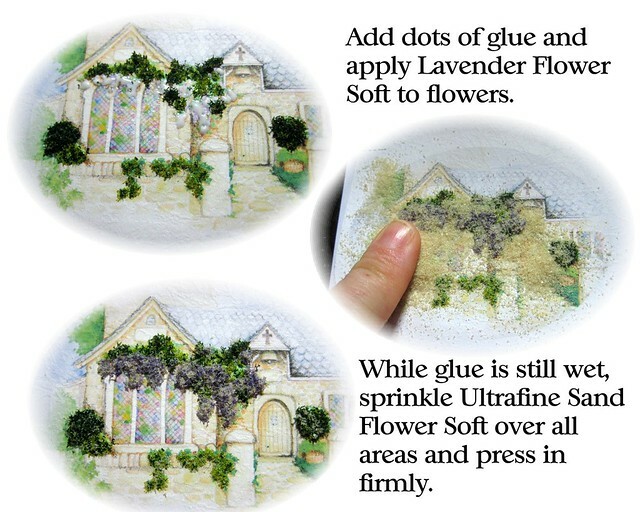 I love the step by step using the flowersoft. Such a gorgeous card. Amazing work!